15Fifty5 Apartments offers Studio, 1 & 2 bedroom apartments. Please select a unit that you like, fill out your name, number, and email, and you will be redirected to our quick and convenient online application. Not seeing what you're looking for? Availability changes every day, if you tell us what your needs are we’ll call you when availability changes. All room dimensions are approximate and may vary by apartment. Captivating living spaces meet stylish design at 15Fifty5 Apartments. Situated in downtown Walnut Creek, CA, our boutique community boasts contemporary studio, one, and two bedroom apartment homes in a convenient East Bay location. Each of our apartment homes offers beautifully upgraded kitchens where you can produce five-star meals as often as you please. Featuring stainless-steel or black appliances, Caesarstone or granite countertops, sleek custom cabinetry, modern brushed nickel finishes, and a convenient dishwasher, your can express your culinary perspective every night of the week. Our homes also offer beautiful and easy-to-clean hardwood-inspired flooring, a neutral color palate, and clean design lines, so it’s easy to tailor your home to fit your style esthetic. 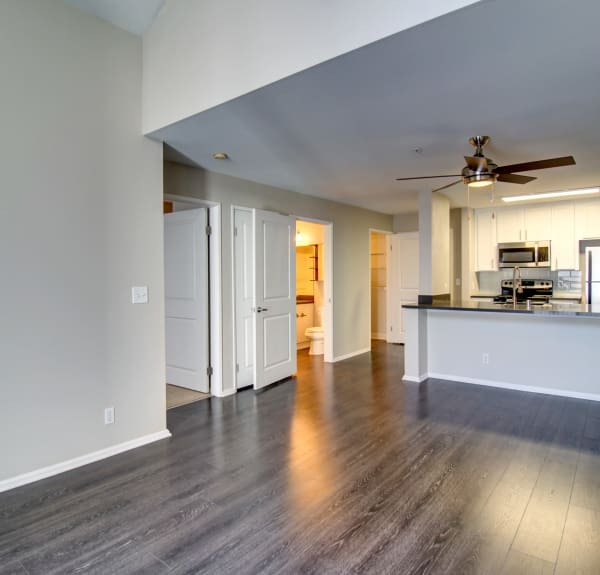 15Fifty5 Apartments is proud to offer spacious studio, one, and two bedroom apartments for rent in Walnut Creek, California. Ranging from 500 sq. ft. to 950 sq. ft., our five spacious floor plans are crafted to complement your modern lifestyle. Our apartment homes boast an open-concept design, allowing you to customize the space to suit your needs. In addition to our impressive interiors, each of our homes offers a private balcony or patio, with views of downtown Walnut Creek or magnificent Mt. Diablo. Grow your own charming flower garden and enjoy your morning coffee in floral splendor on your private outdoor space. Five Open-Concept Floor Plans Ranging from 500 sq. ft. to 950 sq. ft. Choose your ideal living space at 15Fifty5 Apartments. Call today to schedule your personalized tour of our Walnut Creek, CA, apartments for rent.